Is the Cardigan Welsh Corgi right for you? Find your perfect match now! 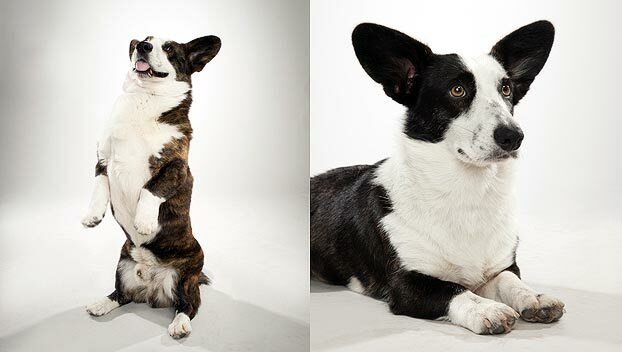 Adorable and lots of fun, Cardigan Welsh Corgis pack a big personality into their little furry bodies. These squat, strong, and long dogs are a somewhat rare breed. They're also known for being a bit more tenacious than their Pembroke (tailless) Corgi-cousins. These brave and boisterous pups are herding dogs — the shortest dogs of the group. 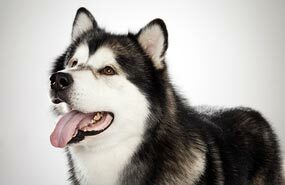 Some also work as therapy dogs, herding people's emotions rather than livestock. Originally from Wales, this medium-sized and medium-energy breed can grow to between 25-38 pounds and lives an average of 12-15 years. The breed is recognized by the American Kennel Club and classified as a member of the Herding group. WHAT IS A CARDIGAN WELSH CORGI'S PERSONALITY LIKE? 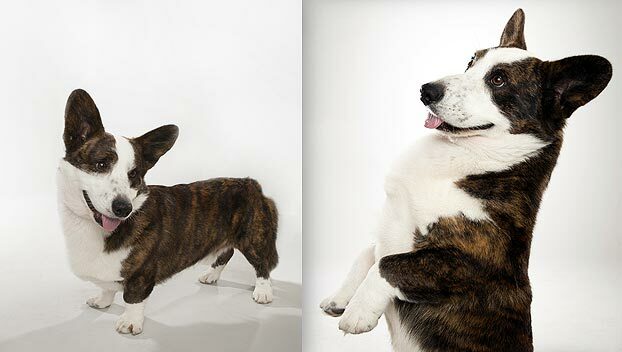 Cardigan Welsh Corgis are all personality. They're smart, affectionate, amiable, and seldom shy. They might try herding younger kids, so Cardigan Welsh Corgis are a better for families with more mature children. Cardigans can be standoffish around other dogs, so socialization is important. They're friendly with other pets and small animals and usually happy to meet strangers. WHAT IS CARDIGAN WELSH CORGI BEHAVIOR LIKE? Cardigan Welsh Corgis are surprisingly speedy and graceful. These powerful little bundles of energy need regular exercise and love to play outdoors. This breed is alert, vigilant, and very protective. They can be somewhat prone to barking. HOW EASY IS IT TO TRAIN A CARDIGAN WELSH CORGI? 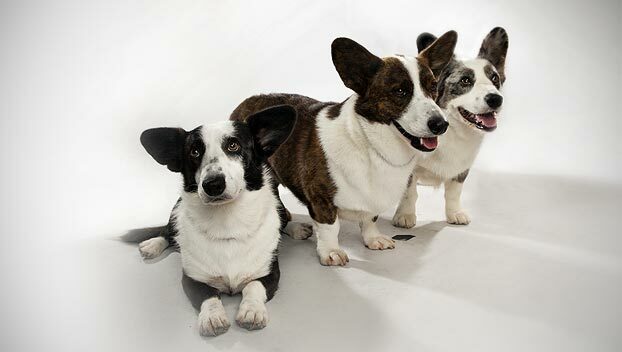 Cardigan Welsh Corgis are very smart and definitely trainable, but they require patience and consistency. Regular exercise is important to keep their busy bodies and minds active. Plan for daily walks or rompy games in the backyard. They often excel in rally, flyball, agility, tracking, obedience, and herding (of course!). HOW MUCH DO CARDIGAN WELSH CORGIS SHED AND WHAT ARE THEIR GROOMING NEEDS? 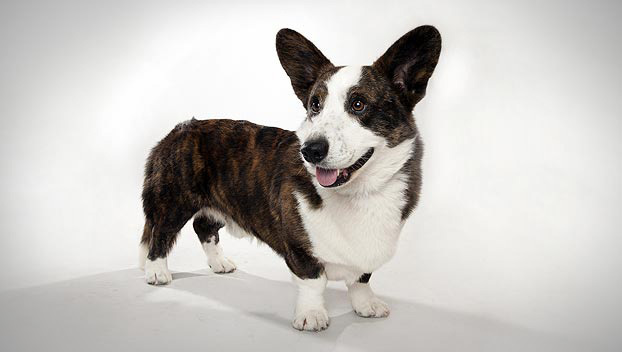 Cardigan Welsh Corgis' thick, medium-length double-coat is water-resistant. Their soft undercoats are overlaid with a coarse outer coat. Those fluffy coats need regular brushings, at least once a week. Cardigan Welsh Corgis are seasonal shedders who should only require occasional professional grooming. Their fur sloughs off a lot of dirt and is nearly odorless. WHAT HEALTH PROBLEMS DO CARDIGAN WELSH CORGIS HAVE? Some are prone to progressive retinal atrophy, hip dysplasia, and — rarely — progressive paralysis affect older Cardigan Welsh Corgis. ARE CARDIGAN WELSH CORGIS GOOD FOR PEOPLE WITH ALLERGIES? The American Kennel Club doesn't list Cardigan Welsh Corgis among its breeds recommended for allergy sufferers. You can reduce your furry friend's impact on your allergies with frequent baths and brushings to reduce loose hairs and aggravating proteins in your pet's dander. Use a damp cloth to wipe off your dog after you've been playing outside. Smaller dogs have less surface area, and so produce comparatively less dander than larger breeds — definitely something to keep in mind with a dog like a Cardigan Welsh Corgi! Remember that no breed is 100% hypoallergenic, and any breed can aggravate allergies. WHAT'S CARDIGAN WELSH CORGIS' BEST DAY? Can we say Corgi puppy parade? Wait… that's our best day. Romping around the backyard with you, herding the household cats (to their immediate dislike) and reporting in for evening cuddles and combing would be a great start. SHOULD I ADOPT A CARDIGAN WELSH CORGI? Cardigan Welsh Corgis are adaptable to many environments and will usually be fine in apartments with enough exercise. These dogs make calm companions and are equally tolerant of warm and cool temperatures. They're active, but don't require exhaustive exercise every day. They shed heavily, but otherwise their coats are pretty easy to maintain. The smart, loving, good-natured Cardigan Welsh Corgi will make a charming canine companions for any number of potential dog families. 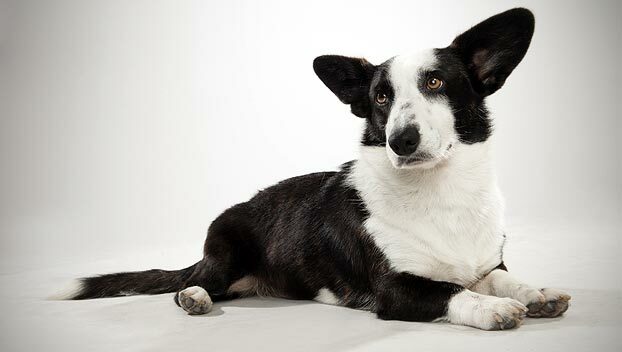 Have you decided that a Cardigan Welsh Corgi is the perfect dog for you? Why not be your new best friend's hero and adopt a rescue! Be sure to check out our article on what to expect when you're adopting a dog or cat.